There are one million reasons to preserve a wedding dress. Your daughter may want to get married in it, or use the fabric to create her own. Here are 7 reasons. The perfect wedding dress is hard to come by, and you may try tens of them before finding the right one. However, when you first try on the dress you finally wear at your wedding, you just know it was made for you. Whether you're planning your wedding or are just recently wed, you know that you will want to protect that wedding dress for a long time. For some brides, their wedding dress stays in their closet forever. For others, it is a family tradition to pass it down. Either way, you will want it to be in perfect condition after your wedding. Preserving a wedding dress is a long-term investment that pays off big time in the end. No matter what your future plans for it may be, here are 7 reasons to preserve a wedding dress. 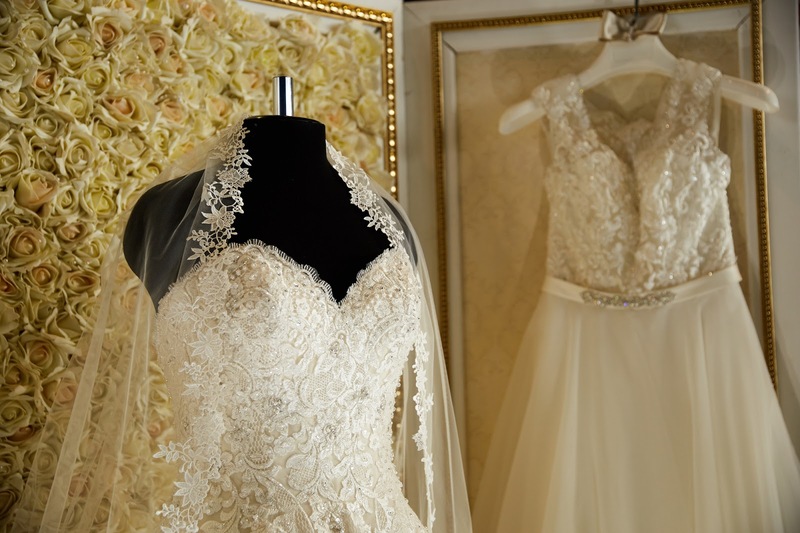 While you may be very careful to preserve your wedding dress before and during the wedding ceremony, protecting your dress all night is a challenge. Between all of the eating, drinking, and dancing that goes on, it's almost impossible for you to save your wedding dress from all stains. Unfortunately, these stains may end up hurting your dress in the long term. Wedding dress fabrics were not made to be stained, and these stains can weather down your fabric and make it easier to tear. Preserving your dress can help you avoid that moment where you open up your dress again only to find that the stains from your wedding night ate pieces of the fabric. When they are done with their dress, most brides store away their gown in the back of their closet. Unfortunately, this method of storage can leave dresses vulnerable to water/moisture, curious children, or any other elements within your home. To keep your dress in top condition long-term, you will want to look into how to preserve a wedding dress. Preservation companies will leave your dress in a storage space that will keep your dress looking as good as new. If you hope to one day be able to pass on your beautiful wedding dress to your little girl, wedding dress preservation is a must. This will allow you to make sure that your dress is in top condition for an extended period of time, up until your daughter is ready to walk down the aisle. Even if your daughter may not want to use a vintage wedding dress, you could still pass it down your daughter-in-law, niece, or even granddaughter. Therefore, making the decision to preserve a wedding dress is a must. Whether resale is in your plans for your wedding dress or not, it is always a good idea to increase the value of your possessions. For that same reason, you should look into wedding dress preservation, as a gown's value will have its value increased with dress preservation. Having a dress with a higher value is also important in case you need to sell it in a pinch. Whether the dress is taking up unnecessary space or your family's financial situation merits resale, you can be confident knowing that you increased your dress' value with the simple step of preservation. It is impossible to predict when a bride may need a substitution dress on her wedding day. There are many cases where a dress has been torn or stained on the day of a wedding, and a new dress was needed in a pinch. If that ever happens to a friend or family member, preservation of your own wedding dress will provide a certain "backup", and you will be a hero to the bride and groom. Loaning out a wedding dress in a pinch is a very common and admirable deed, and having a preserved dress allows you to do just that. While the memories of your wedding night may never leave you and the stories you tell will last a lifetime, having a living memory of your wedding night is a sweet thing to call yours. By preserving your dress, you will be able to feel your wedding dress and remember what it was like to wear it. You will have a tangible item to connect you back to that day, and it will be in the perfect state that it was in when you wore it. No one can predict the future, but one thing you can do is protect the past. Taking steps to preserve a wedding dress will leave you with one less worry in the long term. In the future, you may wonder why you didn't take better care of your dress when your daughter is asking to use it. Be sure to avoid any regrets that not preserving your dress may bring. Whether it's because of resale, loaning, or passing it on, you never want to find yourself wishing you had taken action all those years ago. Do You Need to Preserve a Wedding Dress? Whether you're recently married or about to get married, it's never a bad time to consider preserving your wedding dress. Wedding dress preservation is becoming a more popular option for brides across the country and is a great decision to make when thinking about the future. If you're in need of wedding dress preservation, be sure to find professionals who will take the very best care of your dress. Click here to find out more about wedding dress preservation and how we can help you take care of that lovely gown. Welcome to the Janet Davis Cleaners Clean Files Blog! We talk about everything from special garments we've taken care of to shopping tips and how best to care for your garments. I welcome your feedback. Please subscribe so you don't miss a beat! Care label symbols, what do they mean?!? How Often Should You Dry Clean a Suit?